Chinese currency manipulation: Romney and Obama’s stupid, harmful obsession with it. Romney and Obama propose harmful, stupid policies for dealing with China. Last night’s presidential debate was mostly focused on the Middle East and the ever-popular question of whom to bomb and when. But both candidates did take a timeout from the threat of terrorism and nuclear proliferation to discuss a stranger problem: the risk of American citizens getting a good deal on Chinese manufactured goods. Neither man could quite say exactly what the problem with this is. Barack Obama kicked things off by repeating a long-standing Ohio-centric boast of his. Earlier in his term, when faced with allegations that Chinese companies were selling really cheap tires in the United States, he sprang into action with anti-dumping policies. “Over a thousand Americans are working today because we stopped a surge in Chinese tires” as he put it in the State of the Union address at the beginning of this year. That’s 1,200 jobs to be precise, according to Gary Clyde Hufbauer and Sean Lowry of the Institute for Institutional Economics. And good for those workers. But 1,200 jobs in a nation of over 300 million aren’t that many. Indeed, it turns out that many more people buy tires than make them, with consumers paying about $1.1 billion in higher prices in 2011 for the sake of those 1,200 jobs. The classic economist’s worry about trade protection is precisely this. A small number of people with a large financial stake in the tire industry will extract money from the much larger set of people with a small financial stake in the tire industry. (That’s why silly occupational licensing rules have run amok in the service sector.) 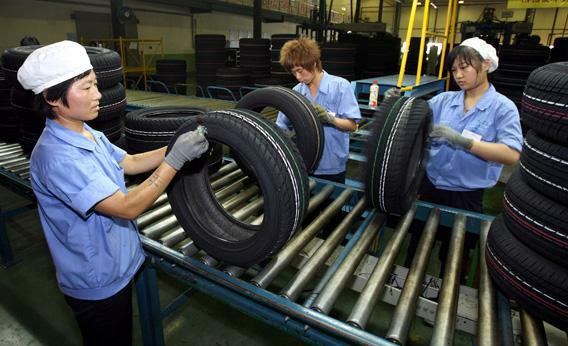 Adding more arbitrary tariffs is a poor policy response to cheap Chinese tires. But instead making a free-market response to Obama, Romney promised to go much bigger. Instead of merely protecting us from the scourge of affordable tires, he promised to “label [China] a currency manipulator which allows us to apply tariffs where they’re taking jobs.” Higher tariffs and higher prices across the board! Imposing tariffs is a policy that will cost most Americans money. And even though Chinese currency manipulation dominates political dialogue, there isn’t much of it actually happening these days. In part that’s because—as Obama said to Romney—the yuan has risen in value relative to the dollar. But the bigger story is that currency manipulation is a policy with a short life-span. Keeping the price of its currency on international markets low made China’s domestic inflation rate considerably higher than America’s, so in inflation-adjusted terms the exchange rate has shifted a great deal. That isn’t to say that currency manipulation doesn’t happen. Former Federal Reserve official Joe Gagnon made a detailed study of the issue and found that even if you exclude all truly poor countries and all official sovereign wealth funds, there are 20 countries engaged in substantial currency manipulation. The list ranges from close allies such as Israel, Japan, and Taiwan to Azerbaijan, Argentina, Angola, and beyond. Consistent application of the Romney Doctrine—imposing tariffs on goods from those countries—could reduce U.S. unemployment. Maybe everyone would fear Romney’s new import taxes, and suddenly stop buying dollars. With less demand for dollars out there, demand for domestically produced goods and services would rise and unemployment would fall. But the consequences also might be disastrous. Newly taxed manipulators from Switzerland to South Korea to Saudi Arabia might retaliate with taxes of their own or reduced orders for American airplanes, defense equipment, agricultural products or other key exports. In that case, U.S. consumers would be paying higher prices, even as American workers face reduced demand for their labor. Global trade would fall in all directions, hurting everyone. If Romney truly believes that the American economy is suffering from a demand shortfall, a much better approach would be to directly address the demand shortfall. Exchange-rate policy is a crucial tool for stabilizing demand if you’re a small country that’s open to foreign trade and investment. For Israel, Sweden, and many others it’s a key lever since buying and selling goods across international boundaries is as common as crossing state lines in our continent-sized nation. But foreign trade isn’t that big a deal in the United States. The vast majority of Americans work in providing local services to other Americans, and we spend the vast majority of our money on those same services. If there’s too much overseas demand for U.S. dollars and safe dollar-denominated treasury debt—much of it bought by foreign governments trying to reduce the value of their own currency—then the sensible solution is to increase the supply not engage in a loopy roundabout effort to coerce foreigners into not buying them. That means borrowing more money to finance tax cuts, directly spending to help the unemployed, or giving bailouts to cash-strapped state governments. And most of all it means a Federal Reserve willing to prefer mild domestic inflation over mass unemployment. And in an economy where relatively few people work in global manufacturing industries, broad fiscal and monetary expansion is a lot more sensible than trying to boost employment one tire factory at a time.